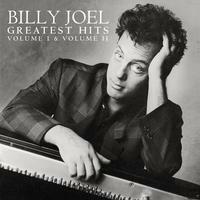 Billy Joel had so many hits between 1973 and 1985 that this collection, first released on two CDs, couldn't include them all. The goal wasn't just to collect Joel's charting hits; otherwise "Honesty" (which was added to one version of this collection) and "Sometimes a Fantasy," for starters, would have been included. Instead, it aimed to provide a coherent narrative of exactly what Joel accomplished during this period. No serious fan of his could begrudge the inclusion of the concert classic "Scenes from an Italian Restaurant" alongside well-known hits like "Piano Man," "Just the Way You Are," "My Life," and "It's Still Rock and Roll to Me." The album's compilers even included two then-new tracks to this established list of tunes. "You're Only Human (Second Wind)" and "The Night Is Still Young" both emerged as hits themselves. For a time, this was Joel's only hits collection. Its outrageous sales figures—with more than 11.5 million copies of the double album sold—reflected the demand for a comprehensive one-stop shop of Joel's radio favorites.